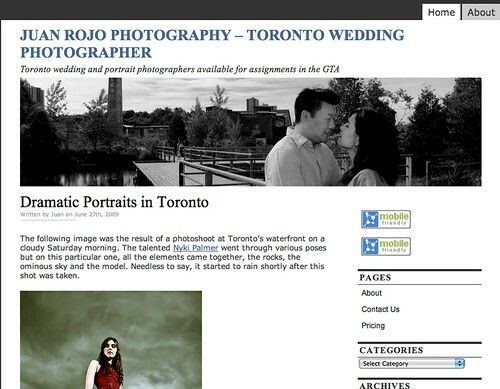 In order to differentiate a little bit more the technical aspect of this blog from my wedding photography business, I decided to create a separate site altogether. The new Site will concentrate exclusively on displaying images for my clients and hopefully attract new ones, as well via search engine queries or by referrals. The technical geeky side of lighting with detailed Strobist descriptions will remain an integral part of this blog. In other words, if you are another photographer like myself, you want to keep reading this one.